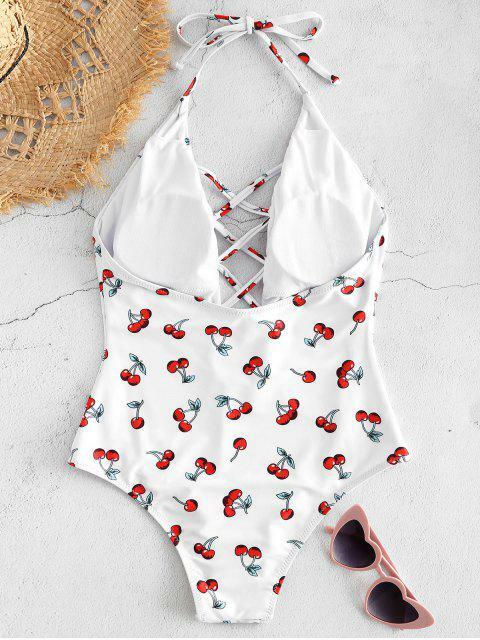 [12% OFF] 2019 Cherry Criss Cross Backless Swimsuit In WHITE | ZAFUL .. Ordered these for my Nov trip in Malaysia Didn’t arriveSaid oh well will use it on my next trip on DecDidn’t arriveSo maybe I can use it on my End Dec trip. Still nothing arrives. Package was stacked in delivery office PH for 12 days now. Is this really a reliable app? 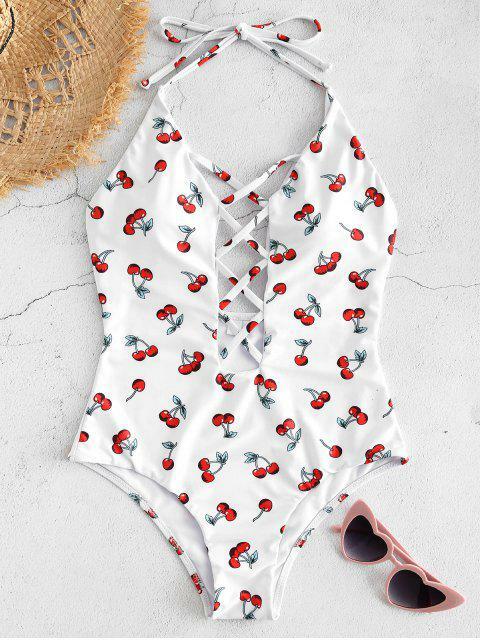 The one-piece swimsuit is supported by two thin straps that fasten at the back of the collar, features a bosom-revealing plunging front with crisscross accents and backless design for adequate tanning. 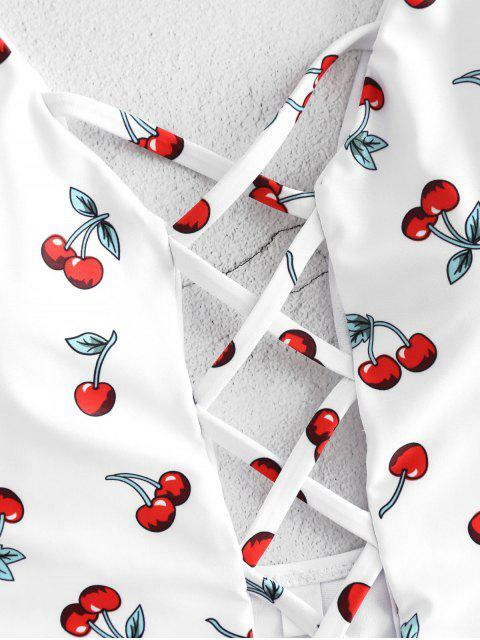 Cherry print throughout adds a sweet sense.